Kevin Bennett - Well respected singer/songwriter with Sydney roots band The Flood, CMAA Gold Guitar winner and Aria Nominee for 2006, writes relevant, contemporary Australian music containing elements of Blues, Rock and Country – telling stories of where he's from and where he might be going. He sings his life. 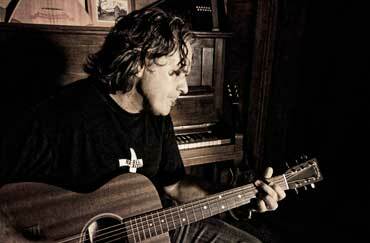 Kevin is a popular co-writer having penned songs with Troy Cassar-Daley, Broderick Smith, Kim Cheshire, Felicity. 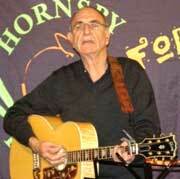 His song “Paul Kelly's Blues” was nominated for APRA Song of the Year. Another of Kevin's songs “Hello Blue Sky” recorded by The Flood reached the number one spot on the Country Music Chart. Kevin's acoustic shows reveal the essence of his songs as he takes the audience on an unpredictable musical ride where anything can, and will, happen. Gateway 23 - includes Dez & Karen Williams and Selina Rowe who perform original songs that will stop you in your tracks with poetic and wise observations about life and its foibles. Backed by melodic vocals and contemporary musical styles the songs will have you tapping and humming along throughout the performance. Leon & Toni - Drawing on contemporary folk and country music, Leon and Toni are a duo who provide great harmony singing in a warm, relaxed style, accompanied by acoustic guitars, whistles and keyboards. The vocals are strong, the material carefully chosen, and their obvious enjoyment of what they do is contagious and evidenced in their performances. They have been singing together for about ten years now at clubs and festivals including Woodford, and are always well received. Harry Dingle - Harry Dingle is one of the Australian folk scene's best kept secrets. His voice is strong and sonorous and his intricate guitar playing is a joy to hear but it is his highly original songs, which range from the sublimely beautiful to the ridiculous, that make Harry truly exceptional. The Shack is held on the first Saturday of every month. There's a cover charge of $15 (or $10 for members, students and pensioners) to cover costs. The Shack is a non profit organisation – all proceeds go toward the promotion and presentation of original, contemporary and traditional 21st century folk music.